The first animals to be born at the farm this year were five goat kids. 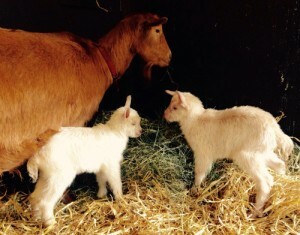 Starting on Jan 13th, Sharon, a Golden Guernsey, gave birth and a few days later Tich, a Golden Guernsey X gave birth too. They were followed by Shady, who is a Toggenburg X breed. 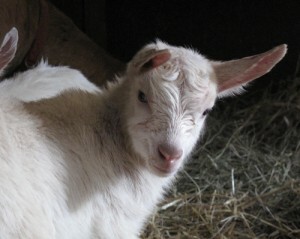 All the newborns were single kids, fathered by Zorro, our Toggenburg billy-goat. Then early this morning Ginger, another Golden Guernsey, gave birth to twins. A very happy start to the new year!